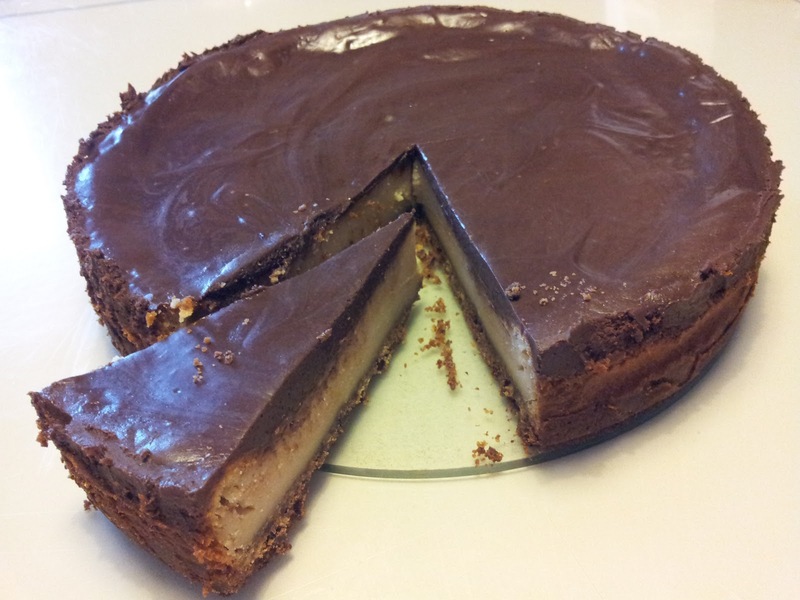 Now before I start this post let me point out for those of you who may be looking for a slightly healthier dessert...this will NOT be for you! 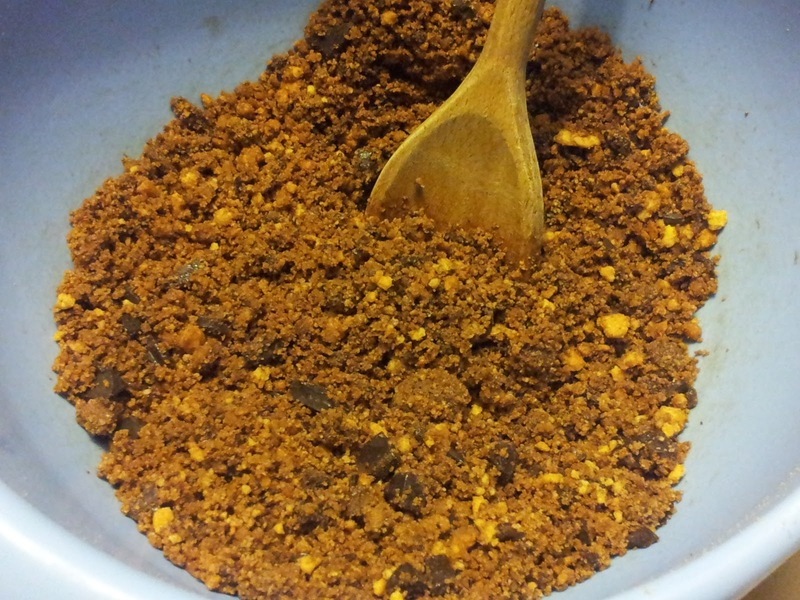 The recipe says to mix all the ingredients for the base in a food processor. We had planned to do this but sadly our food processor died on us :( We ended up bashing all the digestives up in a plastic bag with a rolling pin and chopping up the chocolate and mixing them together. Then we melted the butter and added it to the mix. It seemed to work fine, also we chose to not add the peanuts so made up the difference with digestives. After pressing the base mix into the tin it then says to blend together all the ingredients for the filling in the food processor, obviously we couldn't do that either so we did it by hand. Again that worked fine so if you don't have a food processor I don't feel that it would effect the outcome of your cheesecake. The recipe calls for sour cream which I don't like so we substituted that with double cream. Once mixed you pour on top of the base and bake for around 50 minutes. The only thing we really changed was the topping. It says to melt sour cream with the sugar and milk chocolate and to pour on top of the cake when still hot. Because we were using double cream we mixed it with melted dark chocolate and then spread it on when the cake was cool. 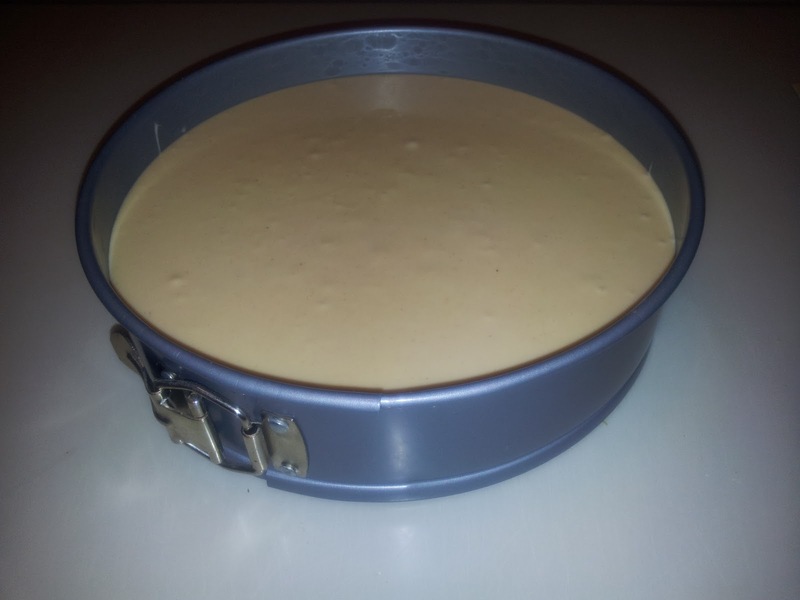 We have never made a baked cheesecake before, only ever ones that need to chill in the fridge so this was interesting. Do you like baked cheesecake?